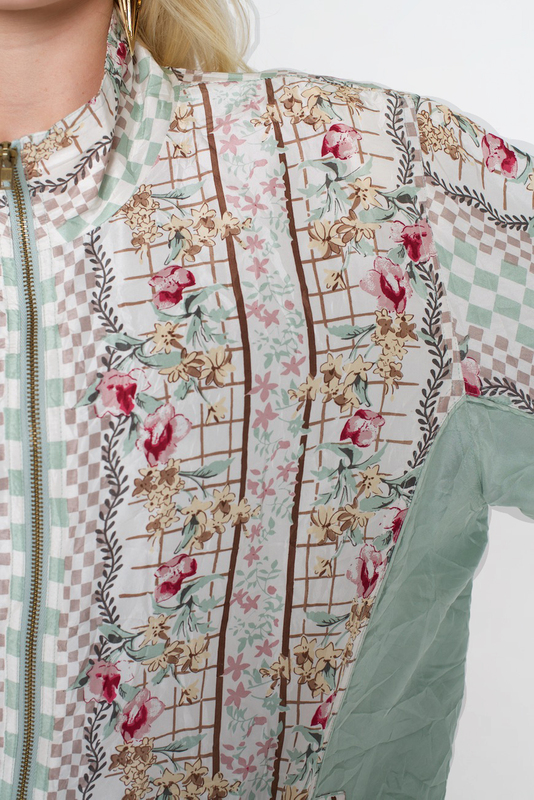 This super quirky tracksuit jacket is quite unusual. 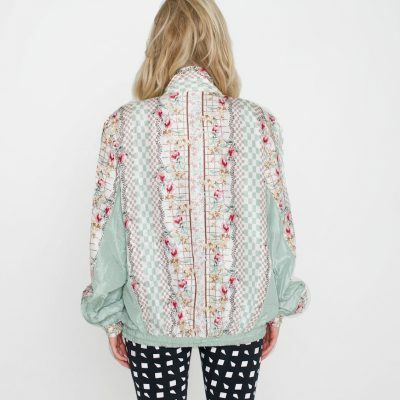 It has a pastel mint green and muted pastel tone checkered pattern, with abstract roses trailing down the sides. It’s super cute, and perfect for all year round use. 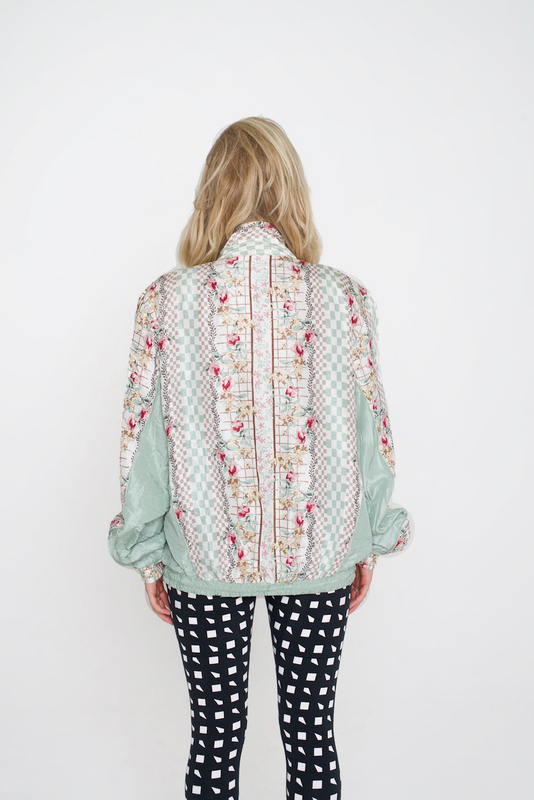 It’s a great, lightweight but lined jacket, with pockets both sides and elasticated hem and cuffs. It also has an adjustable drawstring to tighten the bottom hem further. The jacket measure 60cm across, from pit to pit, and is sized as a size Large. We think however it comes up a little smaller than that, and would say it’s best suited to someone around a size 10-12. (The model is a size 8, so it can also be worn oversized like she wears it). Categories: Festival Shopping, Jackets, Outerwear, Vintage, Womens. 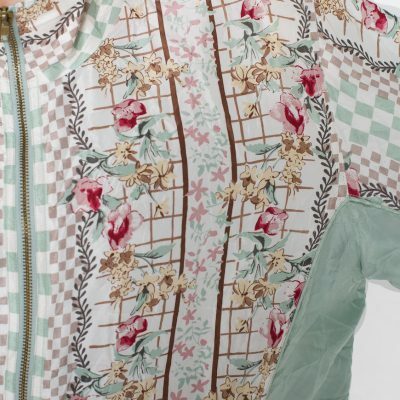 Tags: 90s, abstract, bristol, fashion, floral, jacket, mint green, multi, outerwear, pastel, pattern, Pink, stokes croft, That Thing, tracksuit, uk, Vintage, womens, womensouterwear, womenswear.